Our furry friends, Raya and Elmo, from the popular educational children’s show, “Sesame Street,” have joined the fight against the Zika virus. Their PSAs in Spanish and Portuguese (with English to come soon), aim to teach kids (and adults), in a most adorable way, how to prevent mosquito bites. 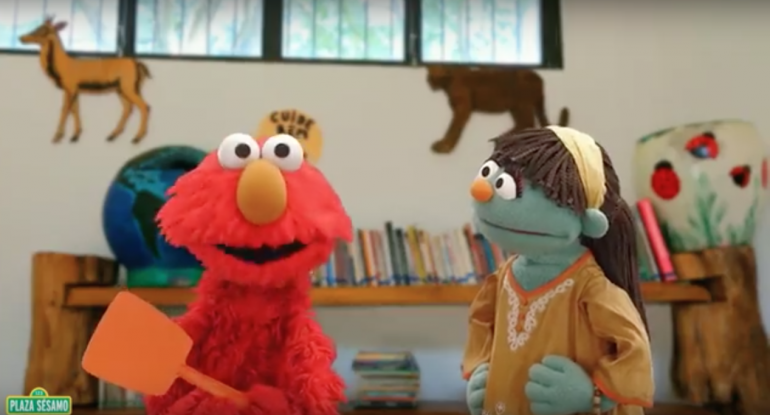 The Pan American Health Organization (PAHO), the regional office of the World Health Organization, has teamed up with the Sesame Workshop, the non-profit that produces "Sesame Street," to educate families in the most affected regions. The first two 30-second videos in Spanish have aired, and the first one aims to teach children how to eliminate mosquito breeding grounds by not letting standing water accumulate and to covering bowls and trash containers. The second one talks about using covered clothes, mosquito repellent and keeping doors and windows closed to avoid mosquitoes from coming into the house. World Health Organization (WHO) spokesman Daniel Epstein, says it’s crucial to raise further awareness about the Zika virus and other mosquito-born diseases. “Children often help educate their parents, especially in areas of poverty,” Epstein said. Director of PAHO/WHO’s department of communicable diseases, Dr. Marcos Espinal, says they are very pleased to collaborate again with ‘Sesame Street’ in this important outreach. “Our most important tool to combat Zika – and at the same time, dengue and chikungunya – is control of the Aedes aegypti mosquitoes that transmit these diseases, he explained.